How many times have you wished that you had just read the signs? 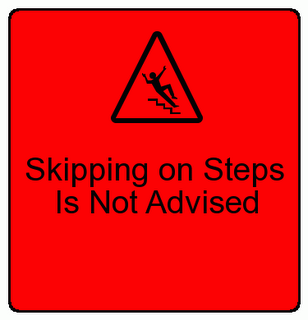 I created this important warning sign using Warning Sign Generator. Now you, too, can warn others about the important things in life! Make many safety signs or funny signage on http://www.CustomSignGenerator.com.